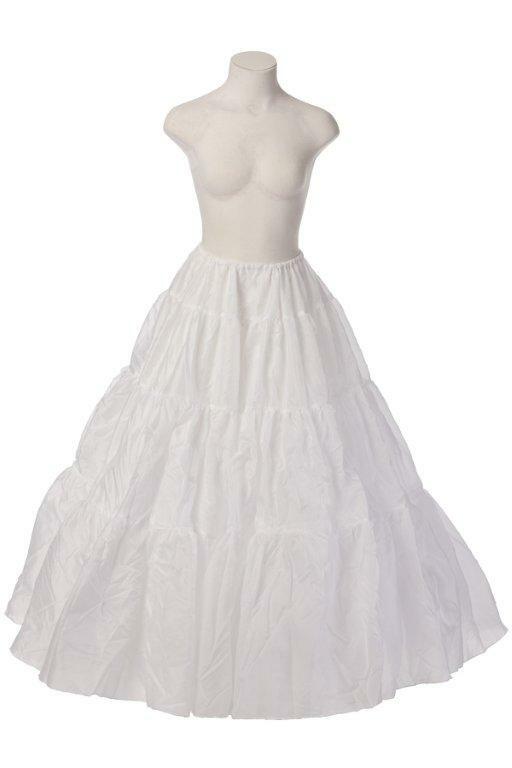 Ball Gown Petticoats make your gown elegant and full. 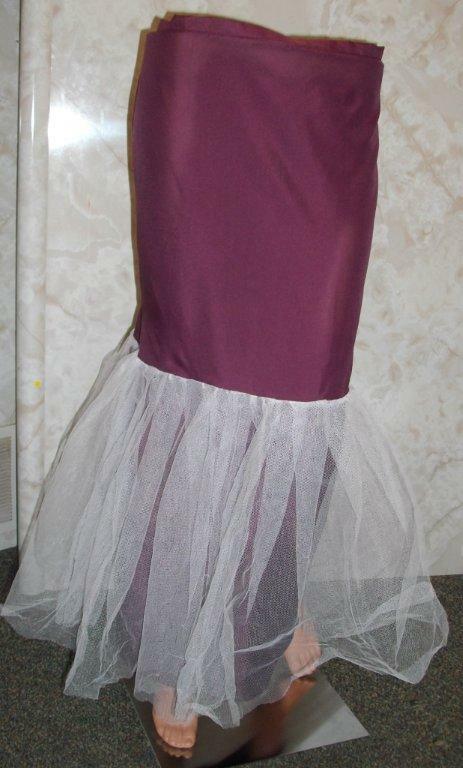 Women's petticoats for Ball gown on Proms, Quinceanera and Weddings. A good petticoat can add an elegant and full appearance to the bridal dress. It can even make a normal simple wedding dress look noble and classy. Elegant petticoat provide formal dresses a fuller effect. For the best shape and beauty petticoats are highly recommended. 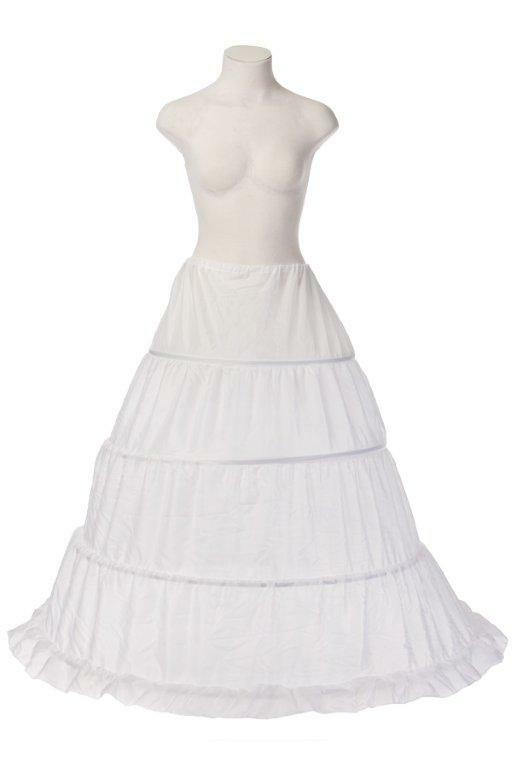 Petticoats are used to adjust the shape of ball room dresses for Prom, Quinceanera and Weddings. Petticoats can hold the ball gown out in a pleasingly shape to give the impression of a smaller waist. Ball room gowns attract people’s attention to the waist and give the impression of slimness. Multi layered ruffles with loads of tulle underneath. Adjustable 22" to 42" Actual Height of the slip: 36" Overall Length: 40" Circumference: 135"
The Perfect 4 - Bone Hoop, Measuring 148" in circumference. Nylon Taffeta. Drawstring waist. One size fits 2-20. Flared mermaid slip ties around the waist. Your slip will match your dress size and color ordered.